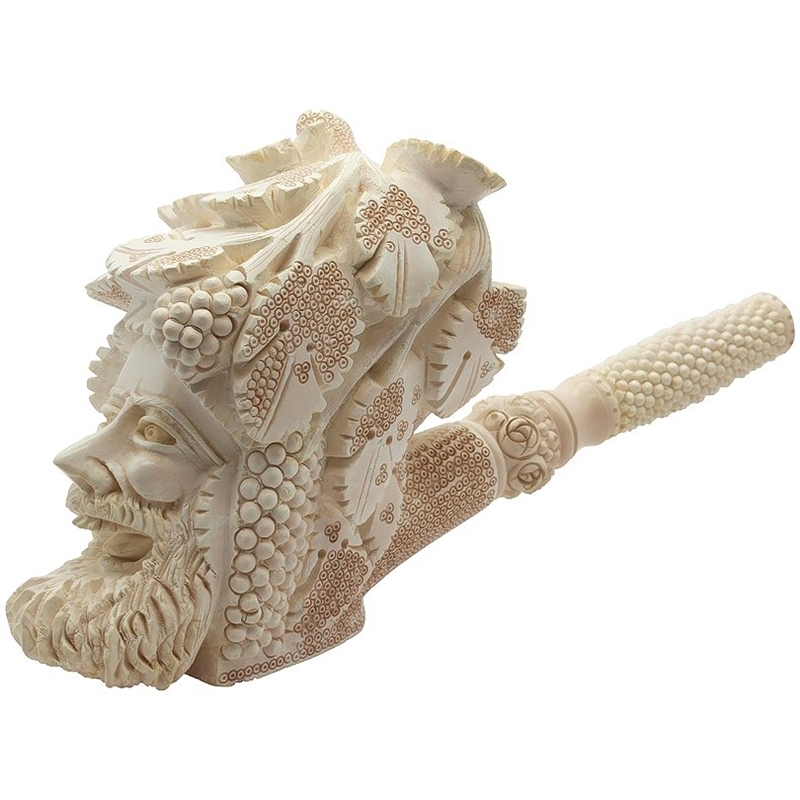 Hand Carved Bacchus Meerschaum Pipe - This is a used, smoked pipe carved in the 1970's by Ismail Ozel, also known as "The Artist" for his large creative masterpieces. 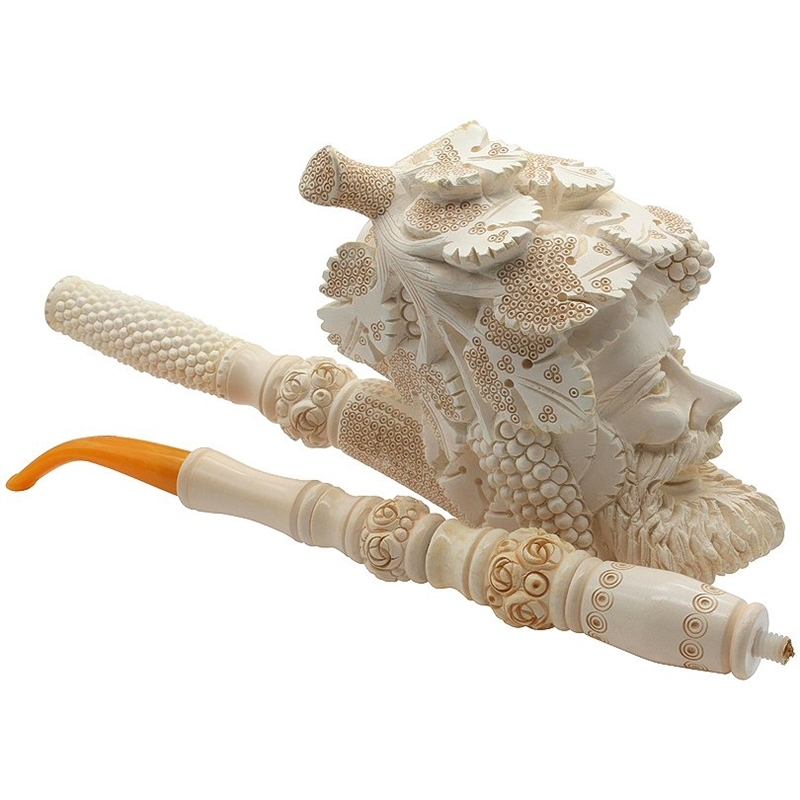 The pipe bowl is a carved lauging Bacchus with a full detailed face framed with grape leaves and grapes. 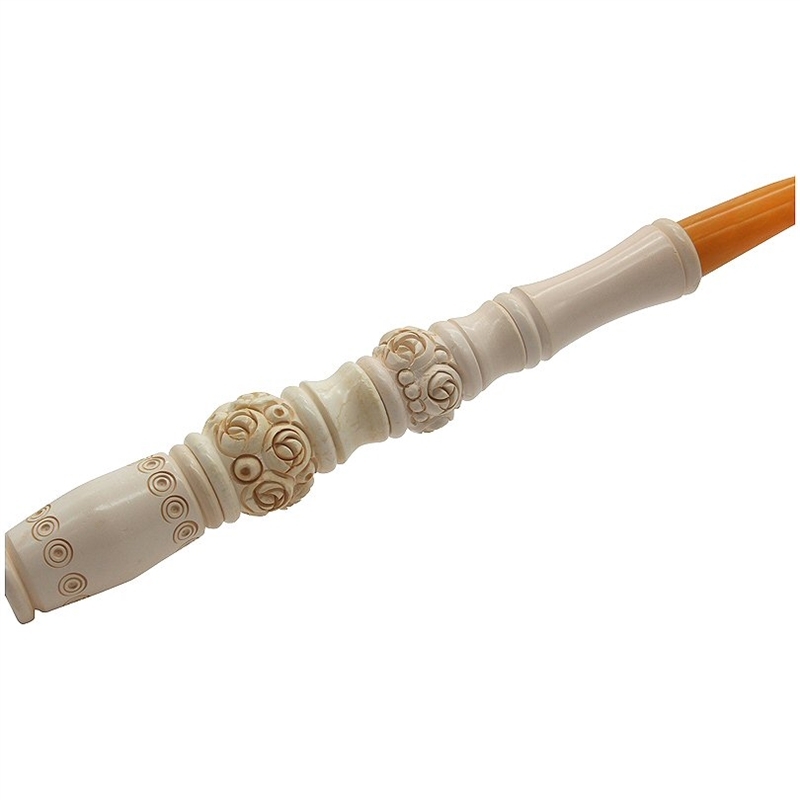 The saxophone style pipe shank is carved with a combination of floral, smooth and beaded knurls and connects to an amber solid colored bent stem. The pipe has a flat bottom allowing it to sit. 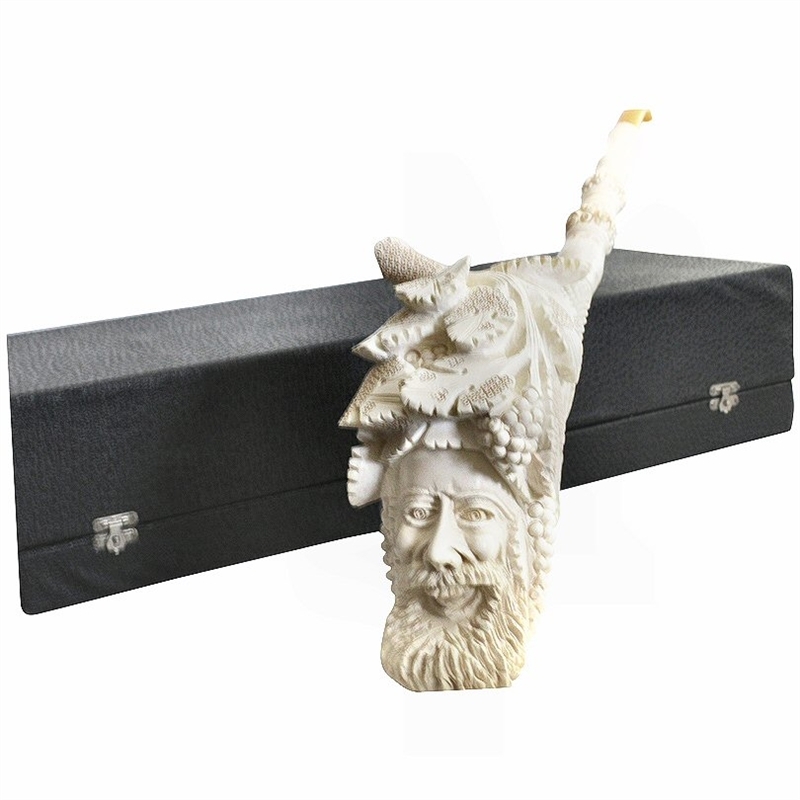 This pipe was sold to a well known tobacconist shop in the U.S. where it was on display for years until a collector purchased it. As the pictures show the pipe started to color. 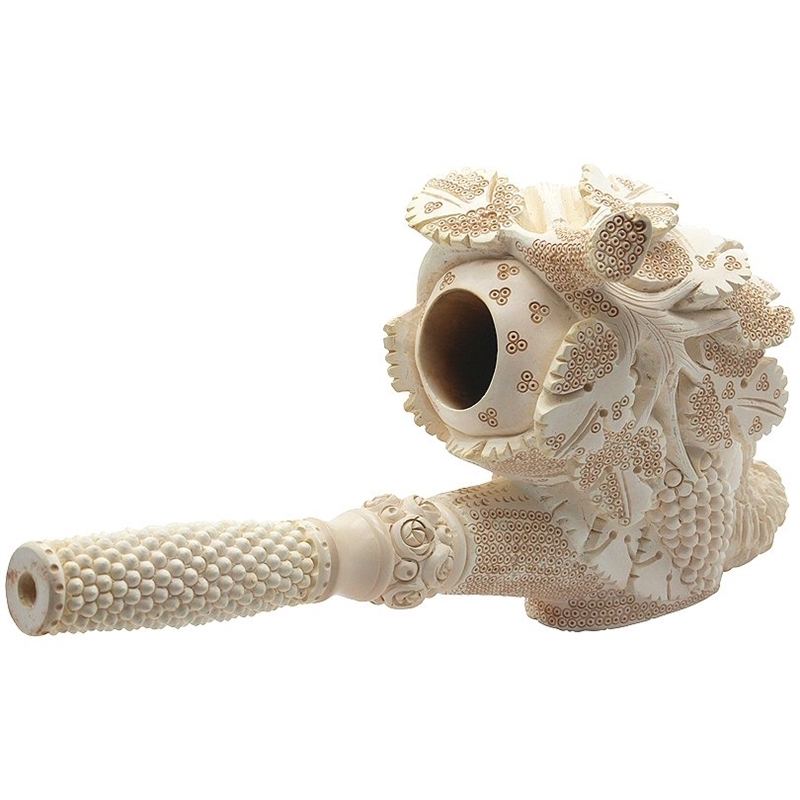 Although used and smoked, the pipe has been thoroughly cleaned and santitized. The fittings and stem have been replaced with brand new ones. 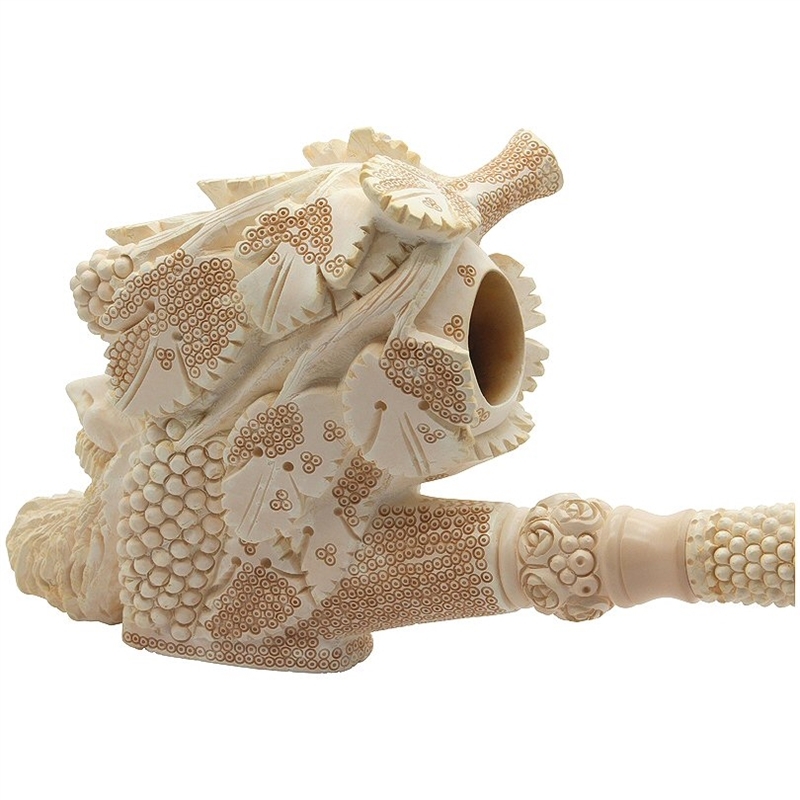 Even with its large size it will continue to turn that warm brown color that meerschaum pipes are known for. The more the pipe is smoked the richer and deeper the color will become. 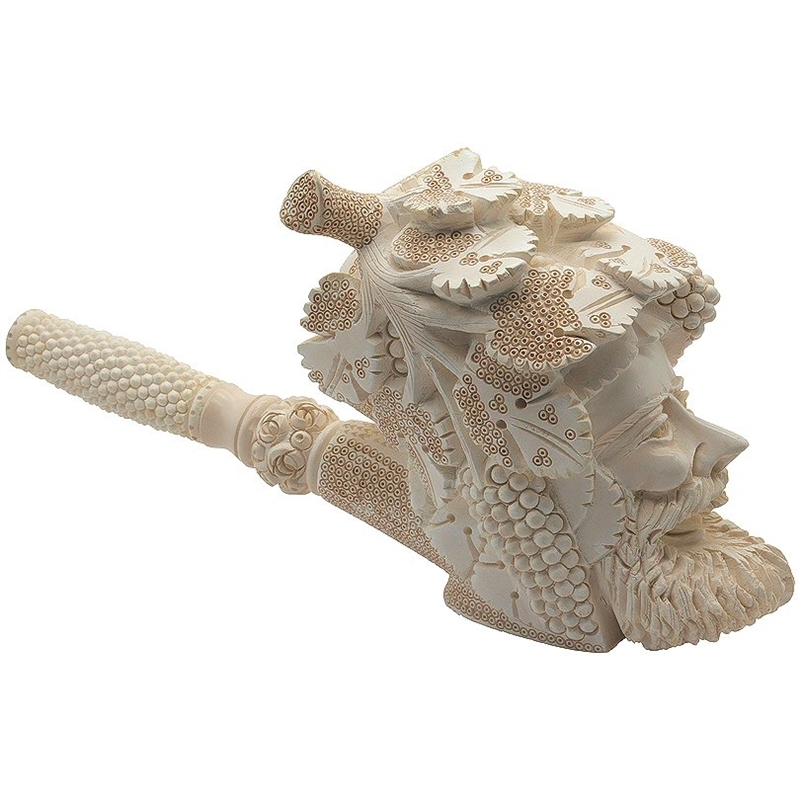 For having been smoked this pipe is in beautiful condition and a quality showpiece. It is a highly collectible piece of art and an opportunity to own a part of Turkish meerschaum pipe history. In the 1980's it became fashionable for certain accomplished "Master" carvers to sign their pipes. 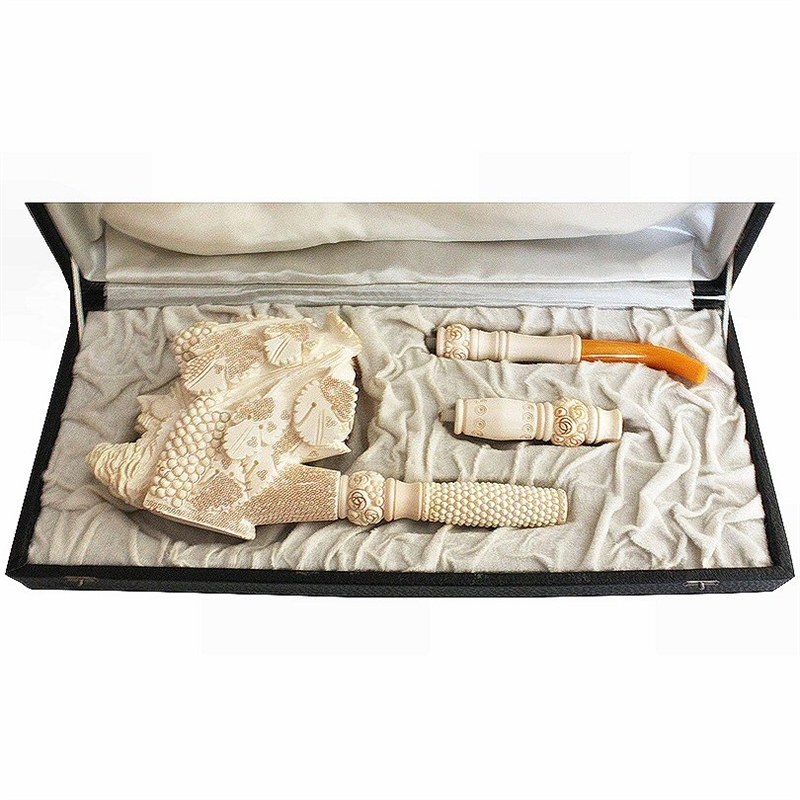 In prior years antique pipes and pipes like this one had an identifiable provenance. The fact that the pipe's custom chest is still with the pipe adds historic value. Bowl Front to End Length: 5.5"